Ditleff Point is one of the best investment properties for sale in the Caribbean, located on world renowned St. John in the US Virgin Islands, which is over half National Park. 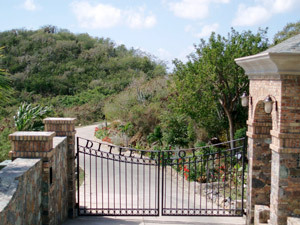 on St. John’s South Shore, Ditleff Point is an exceptional gated community of incomparable value and is an upscale lifestyle opportunity for astute Caribbean real estate investors with vision. wondrous 47 acres of expansive, green peninsula separating breathtaking Rendezvous Bay and serene Fish Bay with views to undeveloped National Park Land is the ultimate in Caribbean living. 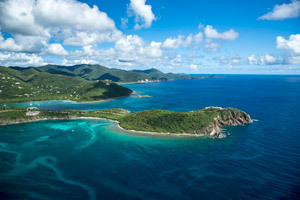 With a private, white sandy beach, Ditleff Point will become the prestigious address for the buyers of these luxury beachfront and oceanfront properties on St. John. amenities include a tastefully landscaped native stone gated entry, paved roadways with scenic overlooks, underground utilities, and a common white sandy beach, all balancing with St John�s distinguished and extraordinary natural beauty. oversized parcel presenting commanding views of crystal azure waters, Ditleff Point is renowned for its picturesque pocket beaches, breaking waves on dramatic red cliffs, and blessed with cooling trade wind breezes. Carefully planned building envelopes and generous acreage will preserve the natural beauty and spacious ambiance of the Ditleff Point landscape. pristine St. John topography, framed by cacti, huge boulders and native flora, provides easy build ability for distinctive estate villas and homes on St. John, while maintaining the requisite privacy Caribbean real estate buyers expect. Seclusion and solitude are complementary to the maximum convenience to nearby quaint Cruz Bay’s fine restaurants, shops, and ferry docks. Please contact Cruz Bay Realty, Inc. for more information on Ditleff Point, as well as all Virgin Island real estate for sale on St. John. We look forward to showing you land for sale on Ditleff Point. 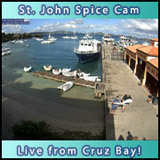 St John Real Estate Specialists in the US Virgin Islands, Cruz Bay Realty, Inc. is a second generation, family owned Virgin Islands Real Estate Agency with a professional, friendly team of agents serving St. John Island since 1985. We take pride in our reputation, integrity, and understanding of the real estate market on St. John; our biggest compliment is the number of clients who recommend new Buyers and Sellers to us! You can rely on the Professional Team at Cruz Bay Realty to give you accurate and informed advice and information on all of your St. John real estate needs.